The Townsville Writers and Publishers Centre is proud to present an anthology of ten thrilling stories by local authors. Infection highlights a diversity of genres reflective of the writing groups supported by the TWPC. There’s a story to interest everyone. 1291. Two princes, two ladies, and a deadly disease that will change this history of Zvur forever. Malady takes a Castle is the first of the Zvurian Historicals. Zvur is Rachel's fictional Baltic country and the home of the Tarasov family, as featured in Rachel's novel Almost a Princess, the winner of the 2018 Emerald Award for best unpublished romance manuscript. Infection is the result of a short story competition held by the Townsville Writers and Publishers Centre. As webmaster and social media guru of the Centre, Rachel helped organise and promote the competition. 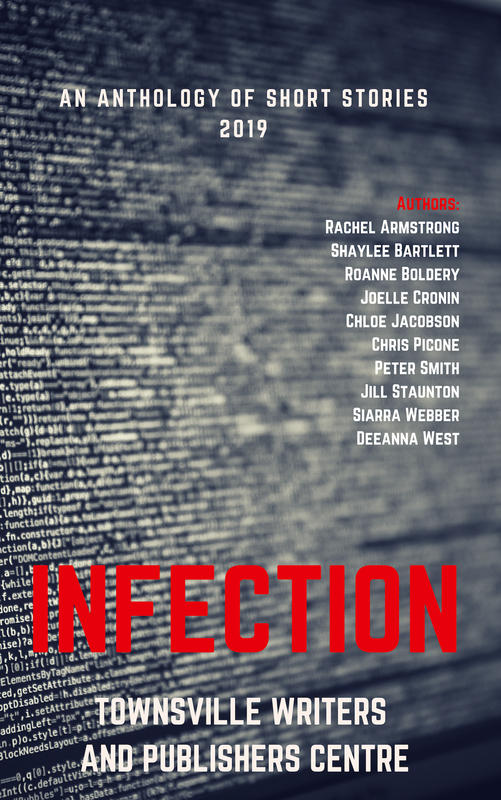 Rachel is also the cover designer of Infection and is proud to have formatted and published the anthology on behalf of the Townsville Writers and Publishers Centre.